These books form part of “The X Files: Origins” to provide back story to our favourite two FBI agents. As such, they are focused on Mulder and Scully’s teenage/young adult years in order to give a plausible history that indicates the reasons for them developing into a Believer and a Sceptic respectively. In the interests of full disclosure, I came to these two books about two thirds of the way through a full re-watch of the complete X Files TV and film canon. I enjoyed the re-booted season so much last year that I wanted to see it all again from the start. You may guess from this that I am a pretty solid fan, but I tried to assess these reads as objectively as possible. For a long-time fan, I am probably unusual in that I am not totally sold on Mulder’s character – for many fans he is the main attraction, but I had always found small aspects of the character’s portrayal wearing or even tedious. The main thing I don’t go for much is the long pretentious soliloquies. Don’t get me wrong, there’s lots I like about him, and the interaction and differences between Mulder and Scully are what make the series stand out. Anyway, Scully is my fave, so I began with ‘her’ book: Devil’s Advocate. Having explained all that, and having approached the book looking forward to a Scully-centric tale, I ended up mildly disappointed. The story covers events in Scully’s life when she is 15 years old and at high school. A number of children have died in car accidents, apparently high on drugs. At the same time, Dana has been having visions; previous to her family moving to the town of Craiger they have been benign but now she is experiencing more disturbing visions that include a figure who may be angelic or demonic. 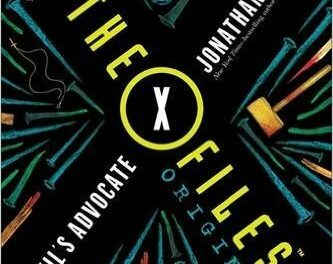 The main storyline is couched within the wider conspiracy-type setting we have come to know and love in the X Files, and there are plenty of satisfying nods to the existing canon and characters. In fact, the writing of the characters from the series (the Scully family for example) is excellent and mirrors their portrayal on screen. However, I was less certain of some of the other roles in this story, and of Dana herself. Whilst I understood that the point of these ‘origin’ stories is to show a different side of the character and their development toward their eventual adult self, I felt that Scully came across almost too believing at points, bordering on weak. I totally accept though that she is supposed to be a 15 year old in this story, working through quite disturbing experiences, so it is entirely possible my evaluation is too harsh. One of the other main characters bothered me in that, whilst the majority of people in the story were well rounded out, he came across as much more of a caricature. However, this certainly didn’t affect the overall quality of the book. I found the story to be satisfying overall and was glad to have had the opportunity to read it. I would certainly read any further stories in this series. I think my (mild) disappointment came from having – perhaps unfairly – entered into reading expecting adult Scully through and through. In the end, there was enough foreshadowing of these traits to make it an engaging read. Next I turned to Agent of Chaos, the partner story to Scully’s, concerning Mulder at 17 years old. Whilst there is an enjoyable element of crossover in the background, there is no main plot crossover or linkage. The only thing that connects the two in the main plots are the fact that both stories concern what we would now term ‘X files’, and that we know these characters and where they are going in the future. Again the main story is couched within the conspiracy world of the X Files series, and this lends extra depth to the plot and lots of fun for the omniscient and attentive reader! Again, I was surprised to find myself enjoying this story more than Scully’s. I had assumed that I would naturally warm to Dana’s story more than Mulder’s. However, the plot was paced very well, with – what I felt, at least – stronger supporting characters. It may have helped that this story is more tuned in to a key pillar of the X Files canon: that of the disappearance of Mulder’s sister, Samantha. Children have been kidnapped and are turning up dead, having seemingly met their end in a ritualistic manner. Similarities with the way that Samantha disappeared become apparent to Mulder and he feels a compunction to involve himself. I found this story engaging and interesting, and felt it added back to the canon in a meaningful way. 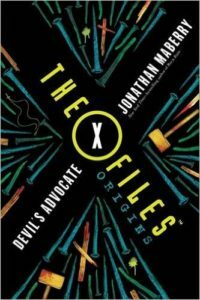 Although there was plenty in the story that has been covered in the series, there was nothing that felt stale, and the whole book gave a fresh dimension to an important aspect of the X Files. Again, it was a satisfying read and I would be interested in further stories following the growth of the character through to adult years. Overall, I felt both books were excellent Young Adult fiction – and that is not an insult! As a nearly 40 year old adult I read a great deal of Young Adult-labelled fiction and I thought that these stories compared very favourably to the better YA books that I have read. 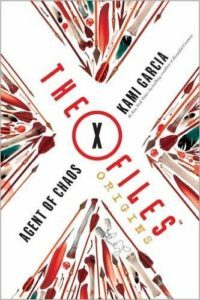 Furthermore, I thought that many readers would find these stories very accessible and a good read, regardless of whether they are an X Files fan or not. There was more than enough meat on the bones not to have to know everything of Mulder and Scully’s existing stories. 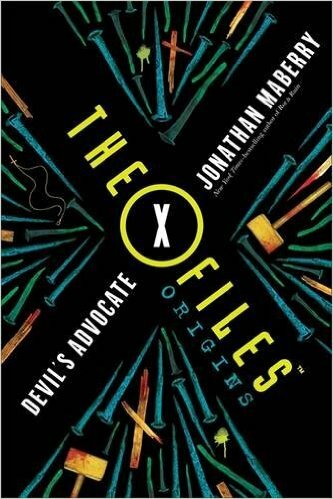 All in all, I would recommend both books, both as an X Files fan and as an avid reader.